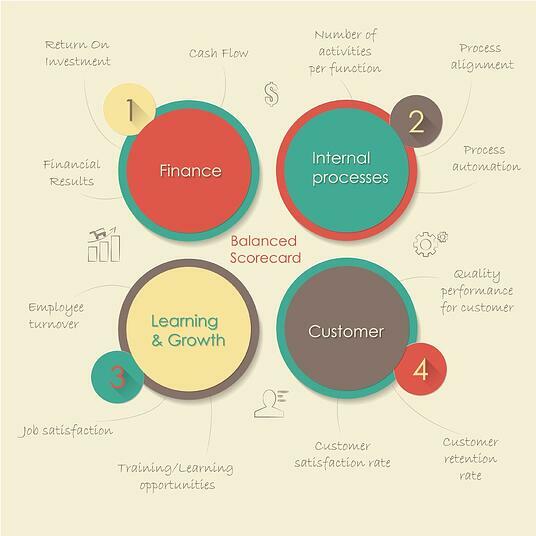 At the highest conceptual level, the Balanced Scorecard is a framework that helps organizations translate strategy into operational objectives that drive behavior and performance. A strategy map translates the organizational vision into concrete, actionable objectives. 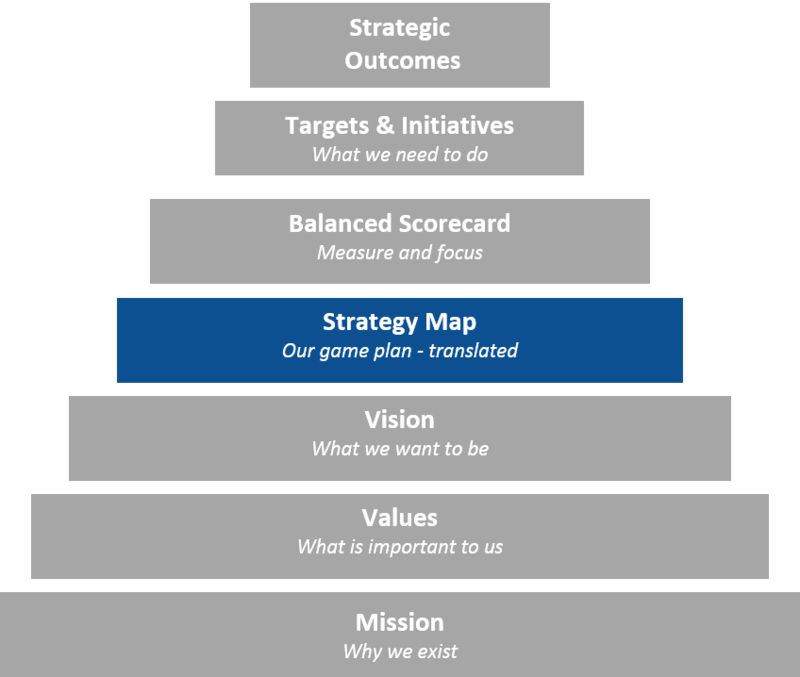 The strategy map acts as the "title page" for your strategy meetings, providing a broad direction that can easily be communicated as a one-page document. Whether you're a veteran strategic planner or simply looking for tips on how to get started, our blog, Even the Best Laid Plans, has got you covered. Get everyone on the same page by reading our guide to Personal Balanced Scorecards.